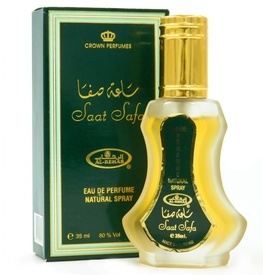 Parfum unisex oriental ce prezinta note florale, condimente si note lemnoase. Parfum concentrat (esenta) pe baza de ulei, obtinut din ingrediente de inalta calitate, nu contine alcool, confera persistenta indelungata; sticluta este prevazuta in interior cu un betisor de sticla pentru o aplicare cat mai usoara. The best and most beautiful things in the world cannot be seen or even touched. They have to be felt, with the heart. Whether it is love or elation, sadness or pride…there will always be elements around the feeling itself that will remind you about it long after it’s gone. Words, or a tune or the fragrance you wore on that significant day. ‘Ehsas’ is one such aroma, because every time you wear it, you’re bound to have an extraordinarily unforgettable day!